Self-Expression Center is proud to have received strong press coverage about our public speaking classes, acting classes and presentation training! Sandra Zimmer featured in Chicago Tribune, August 10, 2011. Writer Richard Asa quotes Sandra to help readers speak in public when the “public” is family. Sandra Zimmer was honored as the 2011 Communicator of the Year by District 56 Toastmasters, an area that includes over 3000 members in the Houston, Texas area. Sandra Zimmer published her book It’s Your Time to Shine: How to Overcome Fear of Public Speaking, Develop Authentic Presence and Speak from Your Heart in June 2009. Don’t Let Reliance on PowerPoint Cripple the Business Presentation by Sandra Zimmer, Houston Business Journal, June 1, 2006. Sandra Zimmer and WITI Houston present: “Developing a Leadership Presence” at Texas Instruments, A Mini-Workshop with Sandra Zimmer, June 15, 2006. Foreign employees lose heavy accents: Voice teachers help newcomers gain confidence, yet remain true to their identity by Jenalia Moreno, Houston Chronicle, March 19, 2006. 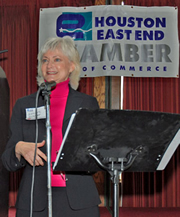 Sandra Zimmer presents “Developing a Leadership Presence” at the Houston Area Chapter, Meeting Professionals International, In & Out Series (PDF) , February 19, 2006. The American Bar Association e-reports article, STORIES ON STAGE: How Acting Classes Helped These Lawyers Hone Their Craft by Arin Greenwood. Speaking Up featuring Sandra Zimmer by Debra Beachy, Houston Business Journal, September 24, 2004. 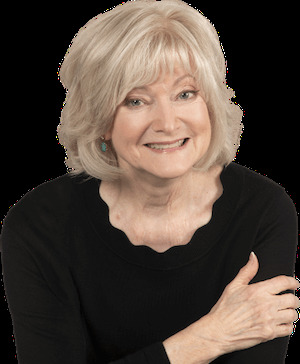 Acting class helps bolster feelings, confidence in those who don't act by Carol E. Vaughn, Houston Chronicle, October 10, 2002. Sandra Zimmer receives the 2011 District 56 Toastmasters Communication and Leadership Award from District Governor Jan Poscovsky. Sandra Zimmer delivers her acceptance speech for the 2011 Leadership and Communication Award from Toastmasters District 56. Kate and Sandra open the first deliver of Sandra's book, It's Your Time to Shine. Sandra Zimmer featured in Houston Business Journal.